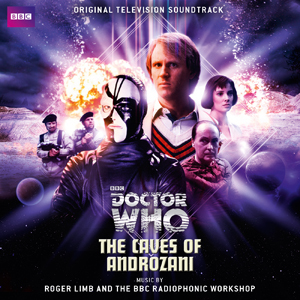 The first release of an archival Doctor Who soundtrack since the 2005 British TV comeback Featuring music by British electronic composer Roger Limb. Roger Limb was part of the BBC Radiophonic Workshop team, which he joined in 1972. Perhaps best known for his work on Doctor Who, from 1981 to 1985, Limb composed the music for the The Keeper of Traken, Four to Doomsday, Black Orchid, Time-Flight, Arc of Infinity, Terminus, The Caves of Androzani and Revelation of the Daleks. In the 80s and 90s Limb has contributed music to a number of television series including The Justice Game, Aliens in the Family, Thinkabout, The Box of Delights, Kevin and Co, Martin Luther: Heretic, Storytime and the Look and Read. He is also known for the now cult "Swirley" tune, a happy piece of electronic music that was used as the theme to the BBC's Service Information news bulletins in the late 70s and early 80s. 5/5 I love anything that features the doctor, period! It's cool to hear his pop and jazz influence in there Jeremy.